The State of New York’s warm embrace of the casino industry continues. Recent news offers New Yorkers an uncomfortable reminder of Albany’s pay-to-play political culture. 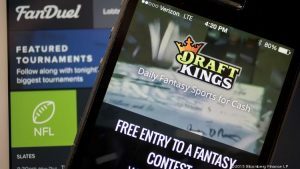 Near the end of the 2016 legislative session, the Legislature passed a bill allowing fantasy sports gambling in the State of New York. On Wednesday, August 3, Gov. Andrew Cuomo signed the bill into law. It is no secret that race relations in the United States are not what they could and should be. Most readers are already aware that the FBI investigation into the e-mail scandal surrounding presumptive Democratic presidential nominee Hillary Clinton has now concluded. Regarding Deferred Action for Parents of Americans and Lawful Permanent Residents (DAPA) and the attempted expansion of the Deferred Action for Childhood Arrivals (DACA) program—President Barack Obama’s infamous executive actions pertaining to amnesty for illegal immigrants—the United States Supreme Court has managed to do the right thing. In recent weeks, multiple columnists covering the state government beat have been writing about the dysfunction that is endemic to the New York State Capitol. Tom Precious of The Buffalo News is one voice that has weighed in on the topic. The Obama Administration’s transgender bathroom edict has provoked outrage across the United States. Thankfully, it has also provoked a much-needed legal challenge.